Quite often, you’ll hear people refer to SUVs as ‘trucks’. One such competitor to us even throws every sports utility vehicle and crossover annually into a ‘Truck Of The Year’ competition. However, today’s array of SUVs aren’t ‘trucks’ in the traditional sense – almost all of them have either shed their pick-up origins a long time ago, or have been based on regular car platforms ever since they were introduced. As with every rule you can think of, though, there are exceptions to this mantra, with perhaps one of the most obvious being the Toyota 4Runner. Unlike almost every other chief competitor it has, the 4Runner is built upon tried-and-tested off-roader architecture. Surprisingly, though, that hasn’t had that much a detrimental impact on the Toyota 4Runner’s ability on the open road. If high-end interiors are your thing, then a Kia Sorento or Volkswagen Touareg will be more up your alley. If you’re after the highest grades of material in your SUV interior, then the Toyota 4Runner won’t be the vehicle for you. 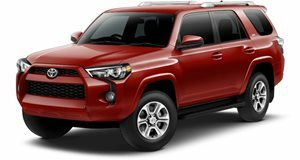 Though the cabin itself is built to a good standard, and prior 4Runner models have a stellar reputation for sturdiness, it’s not exactly the plushest or most befitting interior for a $30,000+ SUV. If high-end interiors are your thing, then a Kia Sorento or Volkswagen Touareg will be more up your alley. Look beyond the quality qualms, though, and the Toyota 4Runner starts to really impress. Those huge chunky controls that were designed for ease of use when you’re sloshing about from side-to-side over lumpy terrain are also really intuitive to use in more sedate driving conditions, and the front seats are amongst the most comfortable you’ll find in any car in this class. Were it not for the slightly squidgy ride quality (more on that later), the Toyota 4Runner would be a great long distance cruiser. The Toyota 4Runner is comfortably one of the most spacious SUVs in this class in this area. Practicality is also pretty good in the Toyota 4Runner. The boxy shape means there’s loads of head room, and there’s a decent amount of leg room for sub-six-footers in the rear seats too. Plus, there’s a generous amount of storage spaces on offer, and we’re especially impressed by the claimed cargo capacity – at 47 cubic feet before you fold down the 40:20:40 split rear seat backs, the Toyota 4Runner is comfortably one of the most spacious SUVs in this class in this area. Further setting the Toyota 4Runner apart from its competitors in this regard is the intriguing powered rear window – something that no other car in this segment offers. The most obvious benefit to such a feature is that it means you don’t need to lift the entire tailgate up just to load the trunk up if you just have stuff like shopping bags to stow away. Just lower the window, drop your bits in, raise the window back up again and you’re ready to go. Can you now see why the 4Runner’s often referred to as a “truck”? 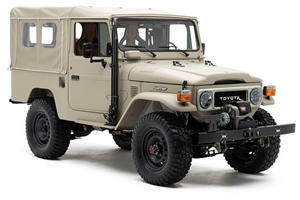 With its unconventional chassis architecture, the Toyota works incredibly well as an off-roader. Having the underpinnings of a traditional 4x4 does give the Toyota 4Runner an unusual USP. 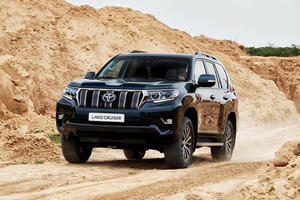 With its unconventional chassis architecture, the Toyota works incredibly well as an off-roader – well enough to give the likes of the Jeep Grand Cherokee something to worry about. If you regularly need to ferry about people and their luggage over the toughest terrain you can think of, then the 4Runner makes a remarkably good case for itself – especially if you go for the seriously off-road-biased ‘TRD Pro Seres’ trim. In other areas, however, the Toyota 4Runner does start to lag behind its main rivals. The old school, boxy proportions of the car means wind roar at higher speeds is a bit of an issue, and the really squidgy suspension means body lean in the corners isn’t that good by class standards. With regards to refinement and body movement control, rivals like the Ford Edge do a much better job. Plus, you’ve got those ultra comfy front seats to fill in for the suspension’s shortcomings. At least the Toyota 4Runner makes up for these shortcomings in quite a few areas. Despite the huge bulk of the car, the Toyota is actually fairly easy to twiddle through tighter sections, thanks to impressive forward visibility and light steering. That softer suspension setup also means the harsher bumps and imperfections in the road surface are filtered out competently. Yes, nearly every other car in this class has a better overall ride quality balance, but the 4Runner does at least get the job done without too many complaints – plus, you’ve got those ultra comfy front seats to fill in for the suspension’s shortcomings. A 4.0-liter six-cylinder gasoline engine with a five-speed automatic transmission. As befitting of a rugged and simple SUV, the Toyota 4Runner only has a single powertrain option available: a 4.0-liter six-cylinder gasoline engine with a five-speed automatic transmission. It’s a combo that perfectly fits the car’s more off-road biased traits but, as with so many other things about the 4Runner, does mean the Toyota loses a fair bit of ground to the class leaders in this area. For instance, whilst the engine’s 270hp and 278lb/ft of torque are reasonable for a car of this size (power-wise, it’s about on par with the like-for-like engines in the Volkswagen Touareg and Jeep Grand Cherokee), the five-speed transmission’s long gear ratios means it’s not always easy to make the most of the grunt. That said, the automatic ‘box does change gears smoothly and swiftly, and does generally know when to select or hold onto the most appropriate gear when, say, you’re accelerating up a hill. The Toyota 4Runner can only return 17mpg in the city and 22mpg on the highway. Not that you’d want to floor the throttle often in the Toyota 4Runner, though, as it’s not the most refined engine you’ll find in this class – the sound isn’t especially pleasant by gasoline six-cylinder engine standards, especially when you work it hard. Using all of the power on offer will also be a detriment to the already rather unimpressive fuel economy figures: even in its most efficient guise, the Toyota 4Runner can only return 17mpg in the city and 22mpg on the highway. At least the Toyota 4Runner’s drivetrain does excel when you venture through tougher sections of the American countryside. The hose of stability programs, mud guards and skid plates means even the most basic rear-wheel drive models should survive a bit of light trail tackling, and the extra bits that come an all-wheel drive models (namely the hill start and hill descent features) help give the Toyota 4Runner a decent amount of off-road ability. Slap on the upgraded dampers and beefier tires that come with the TRD Pro Series spec, and you’ll have yourself a big SUV that can be described as a “very good off-roader” without the usual caveat of “...for a contemporary SUV” added on the end. Factor in the steep running costs, and you’re left with a big SUV that, in the short term at least, doesn’t offer a huge amount of bang for your buck. With a starting price of nearly $35,000, the Toyota 4Runner isn’t a cheap car. A similarly-sized entry-level Kia Sorento will set you back almost 10 grand less, and the Jeep Grand Cherokee (arguably the Toyota’s closest competitor in terms of off-road ability) starts off at just over $30,000. Factor in the steep running costs, and you’re left with a big SUV that, in the short term at least, doesn’t offer a huge amount of bang for your buck. At least the Toyota 4Runner does make up for it by being fairly well equipped for the money. Entry-level SR5 models gets a reversing camera, a powered driver’s seat, a touchscreen interface with built-in navigation and Bluetooth connectivity, with the ‘Premium’ grade adding higher grade seat upholstery and a better audio system. Buyers who want a bit more off-road security (even though the rear-wheel-drive SR5 models can be specified with the optional all-wheel-drive system) will want the Trail trim, as that version comes with a standard-fit all-wheel-drive system and a Land Rover-style system that allows the driver to set the car up for specific terrain types by toggling preset driving modes. For the ultimate in off-road ability, the TRD Pro Series spec will be the one to go for, thanks to its locking differential, high-end dampers, reinforced transfer boxes and countless other gubbins that turn the Toyota 4Runner into a true trail champion. It’s easily the one to go for if you’ll regularly be ferrying about lots of people and their luggage over really arduous surfaces, though the nigh-on $40,000 asking price means it isn’t the model we’d recommend to everyone. 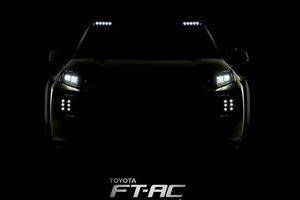 Is Toyota cooking up a potential Mercedes G-Class rival? Hey, it even comes with a built-in iPad.